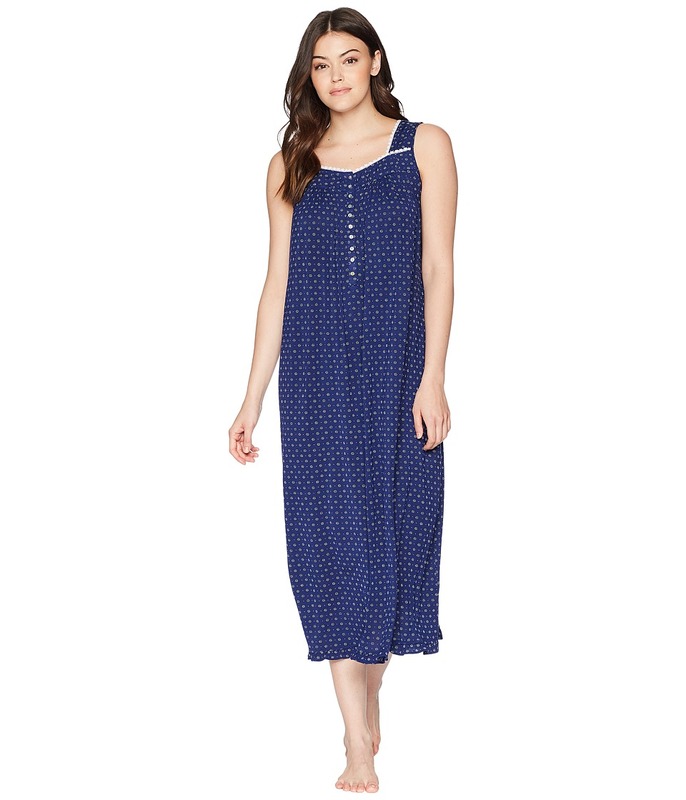 This sweet nightgown brings timeless luxury and comfort to your sleepwear collection. Supersoft blend of modal and spandex with lace trim along the squared neckline. Gathered detail at the yoke complements the flowing silhouette. Allover dot print. Partial button front has ten genuine shell buttons. Sleeveless construction. Feminine ruffle trim on the hem. Midi length. 93 percent modal, 7 percent spandex. Machine wash cold, tumble dry low. Imported. Measurements: Length: 50 in Product measurements were taken using size SM. Please note that measurements may vary by size. Classic, feminine sleepwear. Pleating along the yoke and hem complements the loose, A-line silhouette. Supersoft cotton features beautiful floral design throughout. Stunning scalloped lace alone the neckline and straps. Shirred details create a flattering drape at the front and back. Round neckline. Half-button placket. Straight hemline with ruffle trim. 93 percent modal, 7 percent spandex. Machine wash cold and tumble dry low. Imported. Measurements: Length: 38 in Product measurements were taken using size SM. Please note that measurements may vary by size. Classic, feminine sleepwear. Pleating along the yoke and hem complements the loose, A-line silhouette. Supersoft cotton features beautiful floral design throughout. Stunning scalloped lace alone the neckline and straps. Shirred details create a flattering drape at the front and back. Square neckline. Half-button placket. Straight hemline. 100 percent cotton. Machine wash cold, tumble dry low. Imported. Measurements: Length: 36 in Product measurements were taken using size SM. Please note that measurements may vary by size. Classic and chic this Eileen West robe pairs perfectly with your favorite chemise. Crafted from a lightweight polyester and nylon blend. Beautiful blue dots grace this pretty short robe with long sleeves for an elevated look. Feminine lace details the surplice neckline and front pockets. Wide ruffled cuffs. Tie belt with loops at the waist. Straight hemline hits just above the knee. 86 percent polyester, 14 percent nylon. Machine wash cold and line dry. Imported. Measurements: Length: 35 in Chest Measurement: 18 in Sleeve Length: 28 in Product measurements were taken using size SM/MD. Please note that measurements may vary by size. This sweet nightgown brings timeless luxury and comfort to your sleepwear collection. Supersoft blend of modal and spandex with pretty contrast lace and pintucks at the sweetheart neckline. Cap sleeves. Partial button placket. Slight gathers at the bodice and yoke create a feminine drape. Straight back yoke. Straight hemline with ruffled edge. 93 percent modal, 7 percent spandex. Machine wash cold, tumble dry low. Imported. Measurements: Length: 44 in Product measurements were taken using size SM. Please note that measurements may vary by size. Give your classic look a chic update with the Nine West Lelon. Leather upper. Open toe. Single strap with jeweled embellishments over vamp. Man-made lining. Lightly padded footbed. Covered kitten heel. Man-made outsole. Imported. Measurements: Heel Height: 2 1 2 in Weight: 6 oz Product measurements were taken using size 7, width M. Please note that measurements may vary by size. Weight of footwear is based on a single item, not a pair. 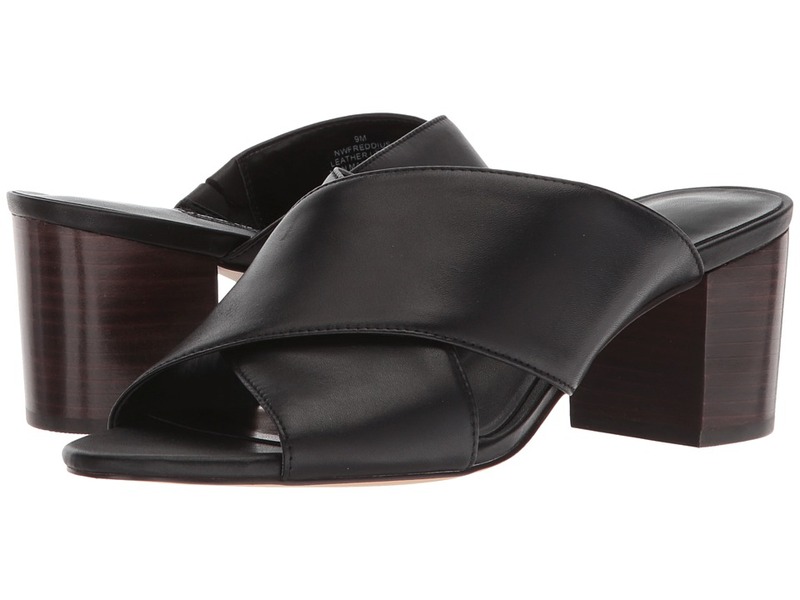 Rock a relaxed look with this beautiful Nine West Freddius Slide. Genuine leather upper. Slip-on. Open toe. Man-made lining. Lightly padded footbed. Wrapped block heel. Man-made sole. Imported. Measurements: Heel Height: 2 1 4 in Weight: 9 oz Product measurements were taken using size 7.5, width M. Please note that measurements may vary by size. Weight of footwear is based on a single item, not a pair. 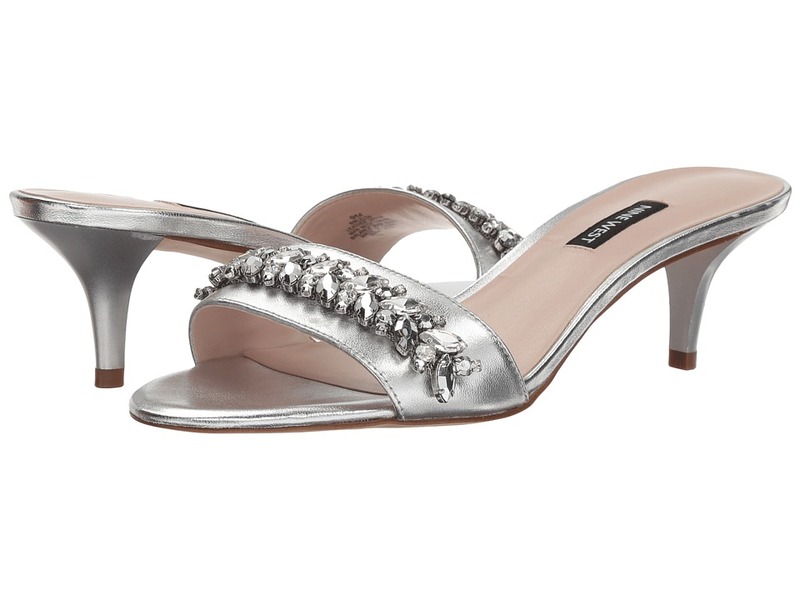 Shine brighter than the rest with this Nine West Fierceness. Genuine leather upper. Slip-on. Open toe. Man-made lining. Lightly padded footbed. 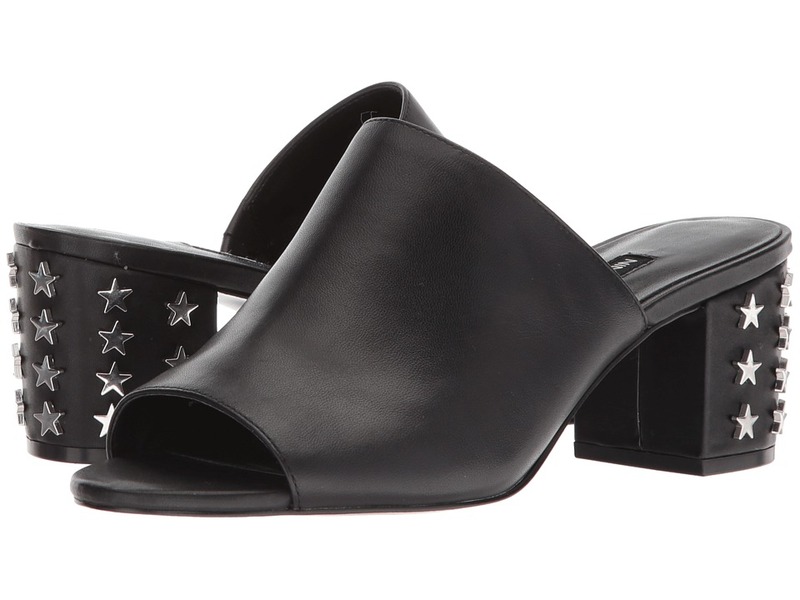 Studded design at wrapped block heel. Man-made sole. Imported. Measurements: Heel Height: 2 1 4 in Weight: 11 oz Product measurements were taken using size 9, width M. Please note that measurements may vary by size. Weight of footwear is based on a single item, not a pair. The Ariat Classic with Heavy Stitch Belt offers a ruggedly feminine style that will complement your jeans and casual Western wear. Genuine leather belt. Leather strap features a contrast heavy stitch for long-lasting durability. Silver-tone metal buckle with floral tooling design. Imported. Measurements: Width: 1 1 2 in First Hole Length: 34 in Last Hole Length: 38 in Weight: 7 oz Product measurements were taken using size MD (34 Waist). Please note that measurements may vary by size. 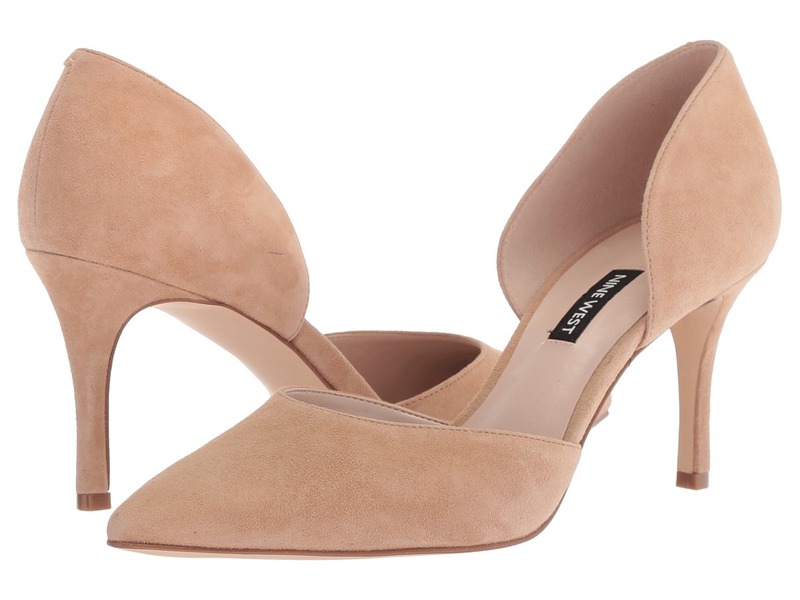 Maintain your timeless appeal with this versatile Nine West Mossiel pump. Available in a variety of uppers. Slip-on design. Pointed-toe silhouette. Side cut-out detailing. Man-made lining. Lightly padded footbed. Stiletto heel. Man-made sole. Imported. Measurements: Heel Height: 3 in Weight: 7 oz Product measurements were taken using size 8, width M. Please note that measurements may vary by size. Weight of footwear is based on a single item, not a pair. This sweet nightgown brings timeless luxury and comfort to your sleepwear collection. 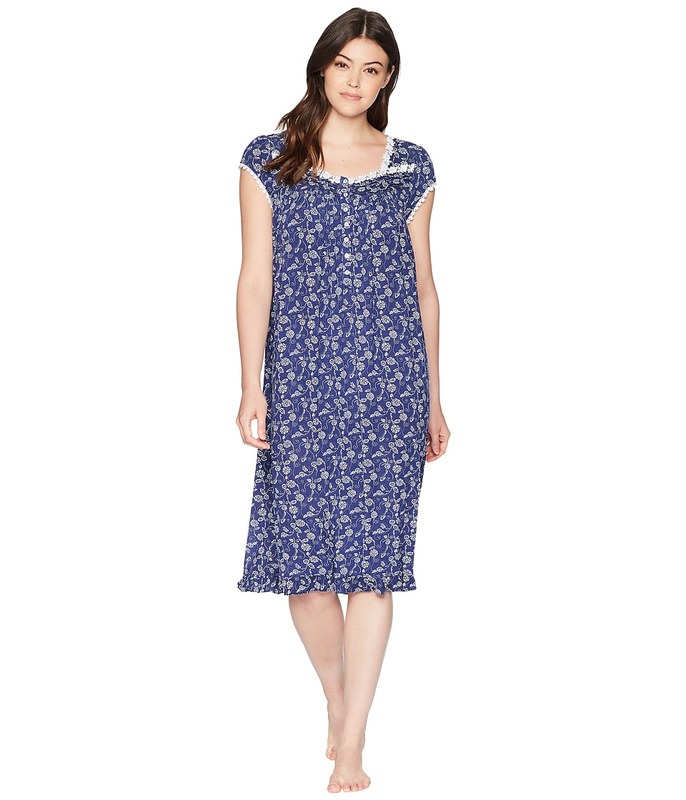 Lightweight cotton-lawn nightgown features a lace trimmed neckline and embroidered detail at the front yoke. Pretty allover floral design. Square neckline. Partial button placket. Wide shoulder straps. Sleeveless construction. Feminine pintucks at the straight hemline. Style #E5219875. 100 percent cotton. Machine wash cold, tumble dry low. Imported. Measurements: Length: 50 in Product measurements were taken using size SM. Please note that measurements may vary by size. 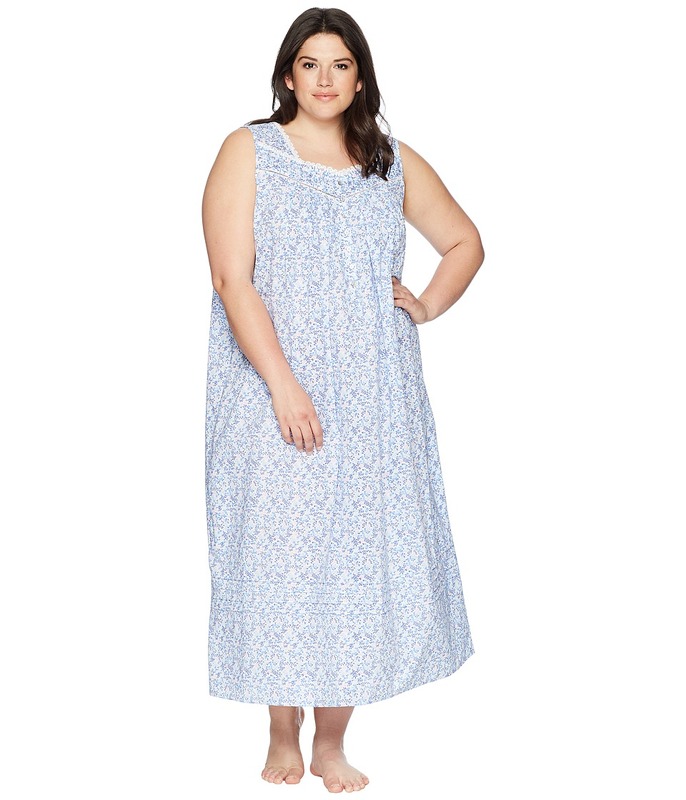 This sweet nightgown brings timeless luxury and comfort to your sleepwear collection. 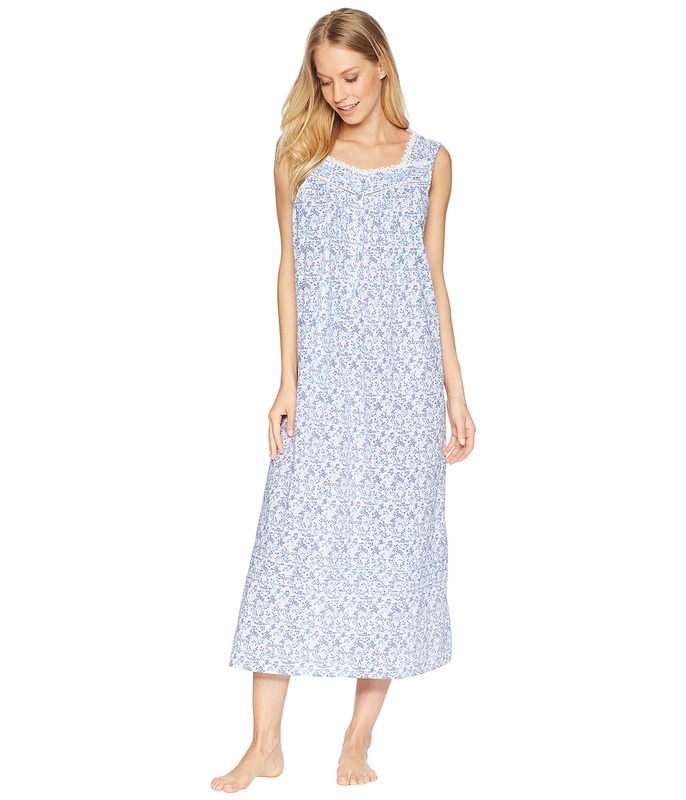 Lightweight cotton-lawn nightgown features a lace trimmed neckline and embroidered detail at the front yoke. Pretty allover floral design. Square neckline. Partial button placket. Wide shoulder straps. Sleeveless construction. Feminine pintucks at the straight hemline. Style #E6219875. 100 percent cotton. Machine wash cold, tumble dry low. Imported. Measurements: Length: 51 in Product measurements were taken using size 1X. Please note that measurements may vary by size. Amsterdam Heritage leather products are carefully handcrafted using traditional tools and time-honored methods of construction and washing. This gives them a unique look and natural feel. Possible differences do not represent defects. Please avoid rubbing against fragile or lightly colored clothing. 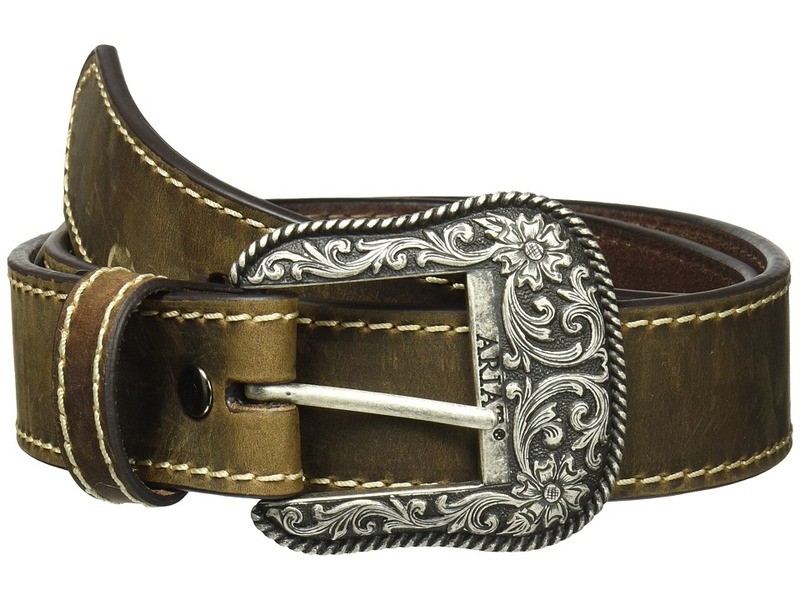 The Amsterdam Heritage 30505 belt adds a little modern edge to your thoroughly feminine Western look! 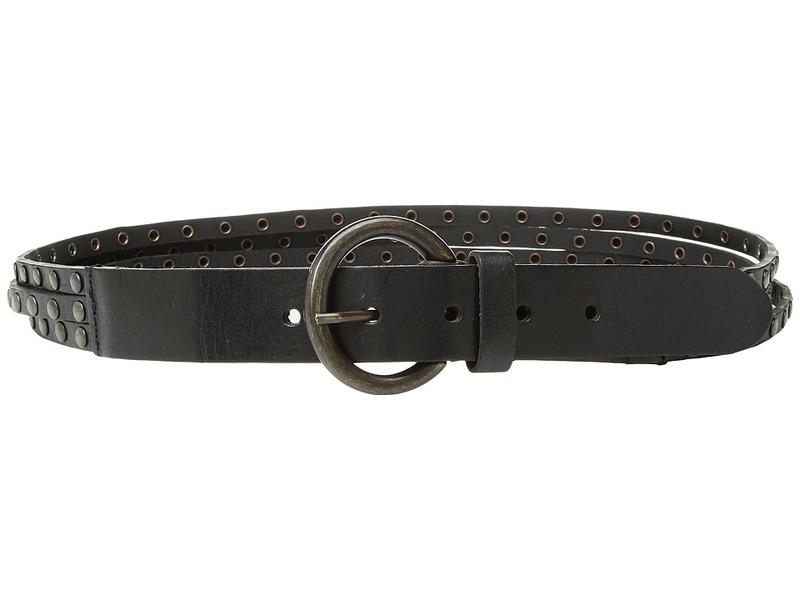 Genuine leather belt. 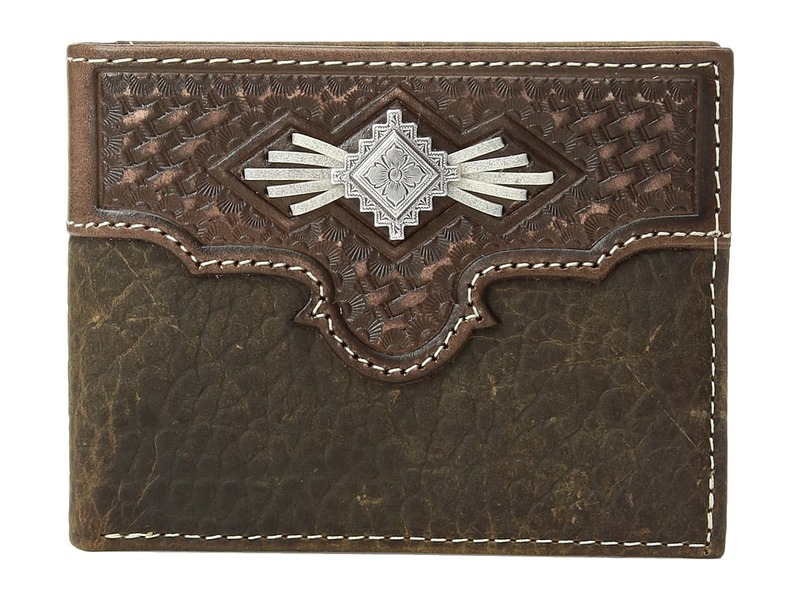 Features three thin leather straps with flat silver-tone metal stud accents. Distressed metal buckle. Imported. Measurements: Width: 1 1 4 in First Hole Length: 32 in Last Hole Length: 36 in Weight: 5 oz Product measurements were taken using size SM (85 cm). Please note that measurements may vary by size.